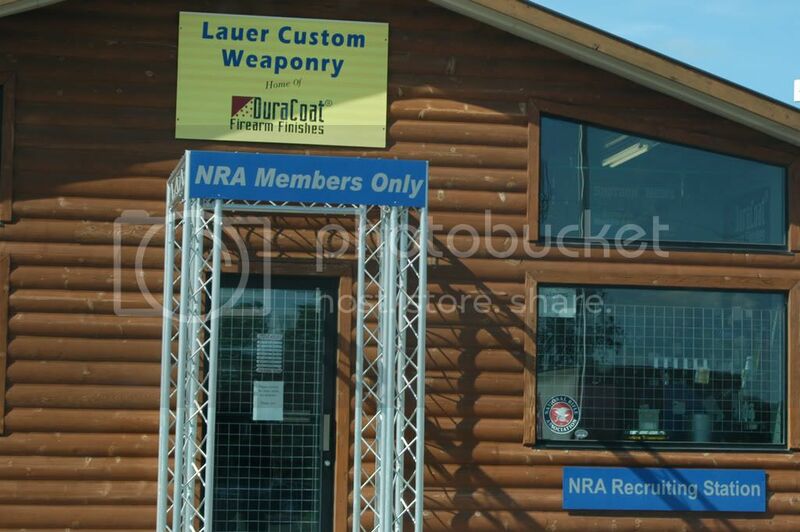 I am on a road trip to northwestern Wisconsin, and made it out to Lauer Custom Weaponry. I visited their store, and got to talk to Steve Lauer. Steve is probably best known for poking fun at Mayor Bloomberg, with stuff like the Bloomberg Collection of DuraCoat, after the mayor banned DuraCoat, claiming that criminals would refinish their guns in the neon colors used on toy guns to fool police. The crew at Lauer says that the mayor’s ban, and the stories related to it, are the best advertising possible, and free to boot. 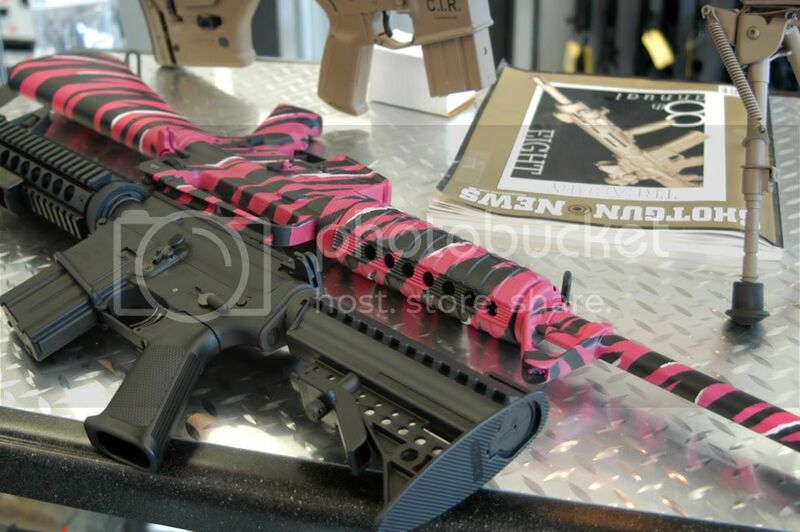 The Tiger Stripe rifle is similar to some made for “Uncle” Ted Nugent. You might have seen one being shot by Jim Zumbo when Ted was teaching him the finer points of EBRs after Zumbogate. 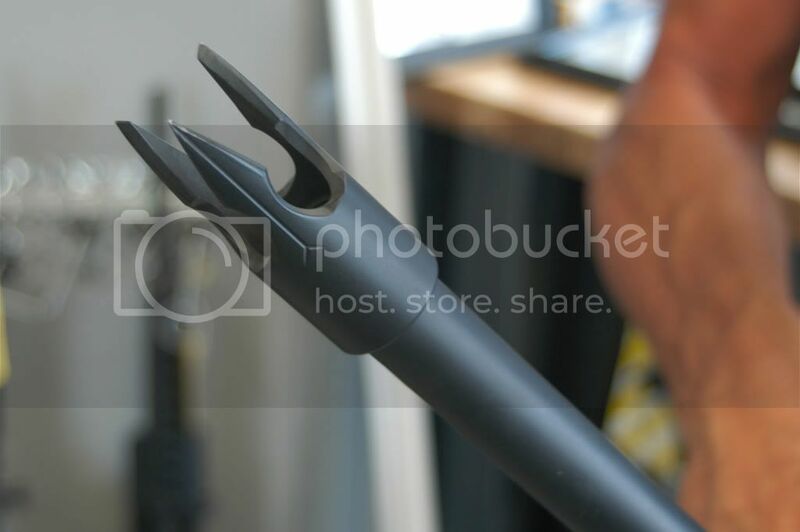 The muzzle device on a semi-auto SAIGA 12 shotgun. Yes, it is as nasty as it looks. I will be posting more later. 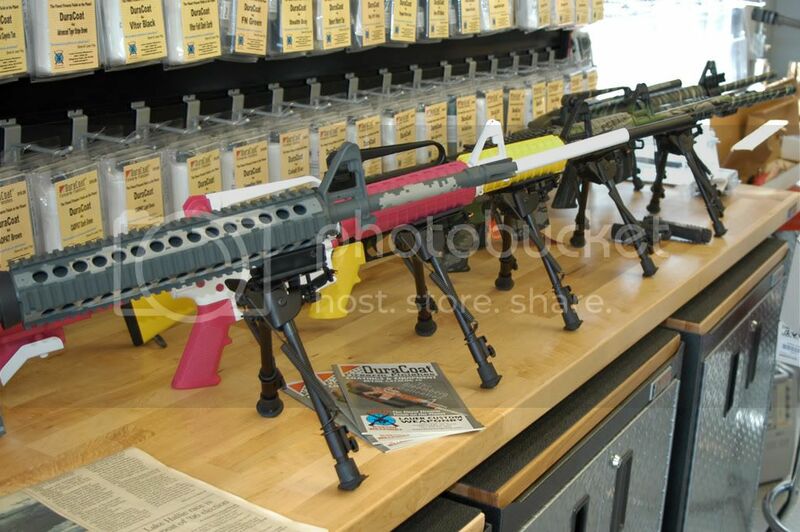 I just bought a used Lauer AR-15. It only came with one clip. Where and how do I buy extra clips? Does anyone make a universal clip? I can’t find a Lauer clip anywhere. 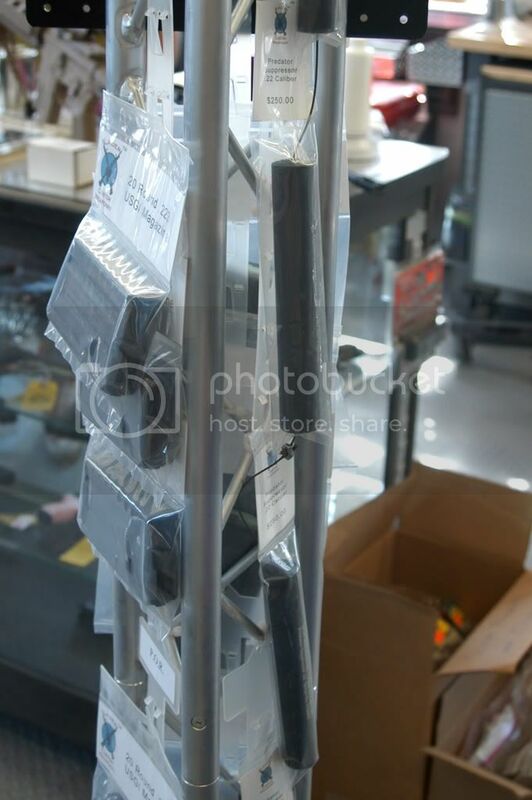 AR-15/M-16/STANAG magazines are universal. I would recommend Brownells for “standard” aluminum mags or Magpul P-Mags for a composite mag. Pretty much any standard aluminum mag is fine, though.